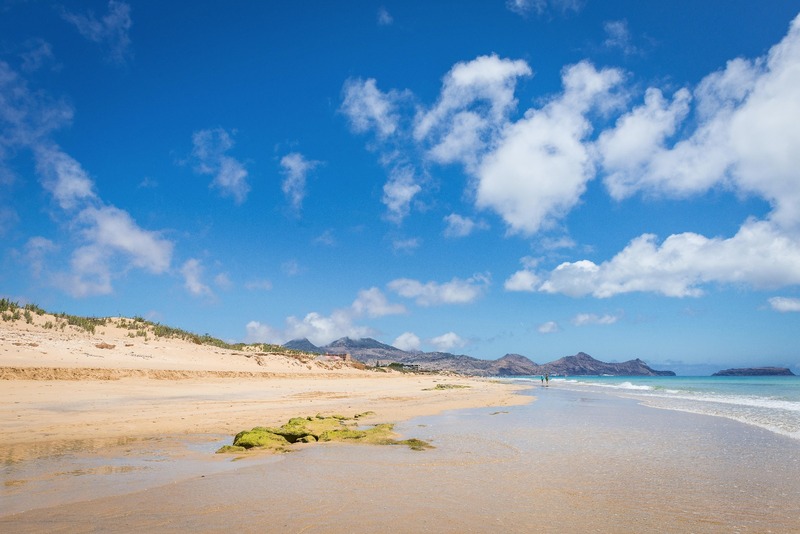 Porto Santo, one of the most recent islands to have announced a battery-based microgrid project. Pic: Animam.photography. Could microgrid developers risk a backlash by over-claiming the extent to which projects can cut fossil-fuel use? That was the question posed to viewers of a webinar on battery storage for microgrids and islands this month. The webinar, hosted by Ata Insights, compared the decarbonisation potential of two types of microgrid: off-grid microgrids in Africa and other developing markets, and island projects, which are a major opportunity for developers. This month, Navigant Research’s latest Microgrid Deployment Tracker said there are now 1,869 microgrid projects around the world, with roughly 20.7GW of capacity. 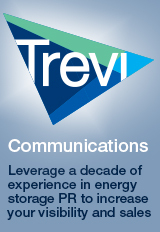 According to Navigant, remote projects lead all microgrid segments. In Africa, for example, Africa GreenTec is installing containerised solar and battery storage systems. The company puts the system together in Germany, ships it to Africa, then drops it off in villages without a grid connection. When Energy Storage Report featured Africa GreenTec in February, the company had installed three of these already. It was shipping two more out to Africa and had another 10 in production. Africa GreenTec is aiming to produce its systems at a cost of €200,000 per container. When it installs the containers, the installation team runs cables around the village to sell electricity to villagers. Africa GreenTec said these containers can deliver electricity at €0.50 per kWh, half the price of diesel power in places like Mali and Niger. The only challenge with this kind of microgrid is making a profit as a project developer. Last September SparkMeter, which has 22,500 off-grid smart meters, revealed people using these microgrids were only consuming about 2kWh a month. At a price of around USD$0.55 per kWh, that’s not a lot of profit. The average revenue per user is usually less than $5 per site. Still, in terms of perception, few would argue with the value of this kind of microgrid: villagers get power more cheaply than they could with diesel. And Africa GreenTec’s investors get long-term returns from electricity sales. But when you’re dealing with western-style levels of electricity consumption, things are trickier. And that’s what often happens on islands. Most island grids are microgrids almost by definition. And most rely on expensive forms of generation, such as diesel. That’s why there’s a lot of interest in moving to renewable energy and battery microgrids. In May last year, for example, 36% of all of Tesla’s storage capacity was on islands. But this is where the perception problem comes in. Island microgrid projects are often labelled ‘fully renewable’ or ‘100% renewable’. This idea could be dangerous, because in many cases it’s very hard to go fully renewable on an island. On El Hierro, for instance, there was a lot of excitement in 2014 about a project called Gorona del Viento. Its aim was to help El Hierro to stop using fossil fuels. The island grid there was based on diesel. When the project planners decided to move to renewables, because of the topography of the island, they chose pumped hydro and wind. The original plan was to use wind and pumped hydro to replace about 80% of the diesel generation there. Eventually, the project would use electric cars, vehicle-to-grid and demand response to get to 100%. On paper this looked like a great idea, because pumped hydro is capable of storing a lot more energy than batteries. But so far, it hasn’t worked. Roger Andrews, who writes for a blog called Energy Matters, is following the grid performance on El Hierro. In January he calculated Gorona del Viento was meeting about 46% of El Hierro’s electricity needs. That’s just electricity, not total energy. Andrews also worked out that the hydro storage would have to be expanded at least 40 times to go fully renewable. Adding batteries into the equation wouldn’t really sort that out. And this seems to be a big problem for many island microgrids. Another study, of Thursday Island, which is off the coast of Australia, said you would need 3.2GWh of storage to tide over the calm periods. That’s the same as 25 of the massive battery systems that Tesla built in South Australia last year, for one island. On island grids, it seems replacing a double-digit percentage of traditional generation is not hard. But as you get closer to 100% the amount of storage you need starts to go off the scale. And so too does the cost. Herein lies a problem for those planning an island microgrid project. Islands are the ultimate test of how easy it is to go fully renewable. They are a test bed for energy transition. That means they are closely watched and harshly judged. 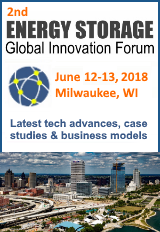 If the energy storage industry tries over-promising on them at this stage, it could do the sector’s credibility a lot of harm. This article is based on a webinar presentation delivered this month. For the full event, including a separate presentation from Fluence, take a look at the recording now. Be the first to comment on "Why it could be dangerous to pin ‘100% renewable’ badges on microgrid projects"